Are you tired of Taco Bell, Olive Garden, and other Americanized ethnic foods? Are you ready to try something new that’ll blow you away and make your mouth water? Argentina is good for more than the tango and soccer – although those things are great too! It is also known for some incredible food dishes. Some of which you may have already tried before and didn’t even know it. Argentina is primarily known for steak and wine, but it doesn’t stop there. 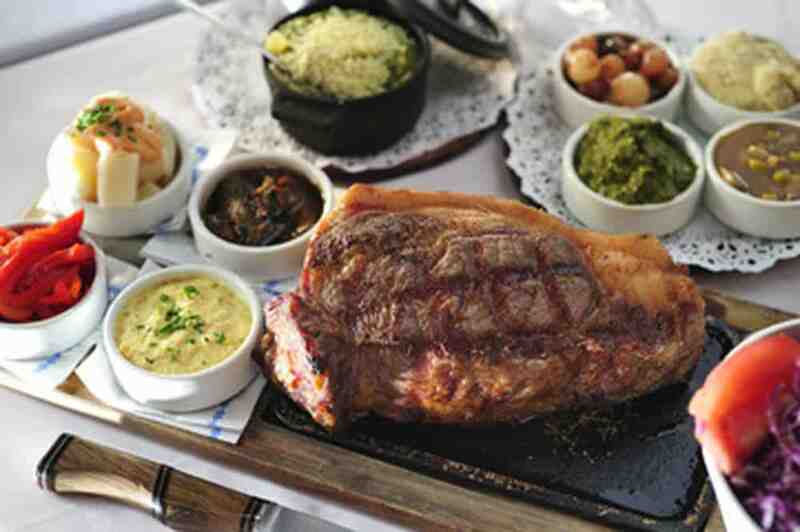 Keep reading to find out why your next meal should be Argentinian food! Argentina’s food is very tied to Europe, drawing influence from both Spanish and French style dishes. Where they take things like pasta and pastries and tweak the recipes to make them unique. One of the most important culinary traditions in Argentina is asado or barbecue. This is a meat lover’s dream! Asado is simply a copious amount of grilled meats. This could include just about anything including pork, beef, ribs, sausages, and even lamb in some places like Patagonia. Add some chimichurri on top and you pretty much have Argentina in a nutshell. Chimichurri is a green salsa made from ingredients like parsley, garlic, oregano, chili pepper flakes, and more. The same way ketchup and mustard are the main condiments in America, chimichurri is the primary condiment for Argentine food. You didn’t think you’d get through this article without some awesome cheese cuisine, did you? Well, provoleta is a trademark dish in Argentina and a must have for any cheese lover. Provoleta is the Argentinian version of provolone. Composed of sliced cheese and topped with herbs and chili flakes, it is then grilled to perfection with a caramelized exterior and an ooey-gooey melted center. Don’t worry, all you sweet tooths out there haven’t been forgotten! When it comes to desserts, there is nothing better than dulce de leche. This sweet, caramelly treat is a staple in Argentine desserts. One of the more popular dessert dishes to use dulce de leche would be Alfajores. This is a shortbread-style biscuit that usually has some kind of creamy middle. Think Oreo’s, but so much better! Another great Argentine food would empanadas. While this can be made with savory fillings such as meat and vegetables, it is at it’s best when filled with some sweet dulce de leche or quince jam. Top it with a little cinnamon or sugar and you’ll have the dessert of your dreams. Last, but certainly not least, there are some wonderful Argentinian beverages. The most popular being yerba mate tea. An herbal-infused drink with the caffeine you need to kickstart your day, this is a great traditional Argentine beverage. And if you’re feeling a little chilly, try an el submarino to help warm you up! This is Argentina’s version of hot chocolate, except they stick actual dark chocolate inside the cup. As you’re enjoying it, the chocolate will melt and make it even better! As you can see, there is so much Argentinian food for you to try! And this is just the tip of the iceberg. Want to know about other ethnic foods you can try as well? Head over to our online store to find some more delicious foods to explore!